Are you nervous about the risks of investing but want to grow your money? A certificate of deposit is an easy, low risk way you can save for a down payment on a house, a new car, or another big financial goal. Don’t be content to leave your money in a savings account with low interest – with certificates of deposit, or CDs, you can take advantage of higher interest rates and save more money. A number of online banks offer great rates for CDs. All it takes is a little research to find these money-making options. Certificates of deposit are a great option for people new to managing their money or who prefer low-risk investments. 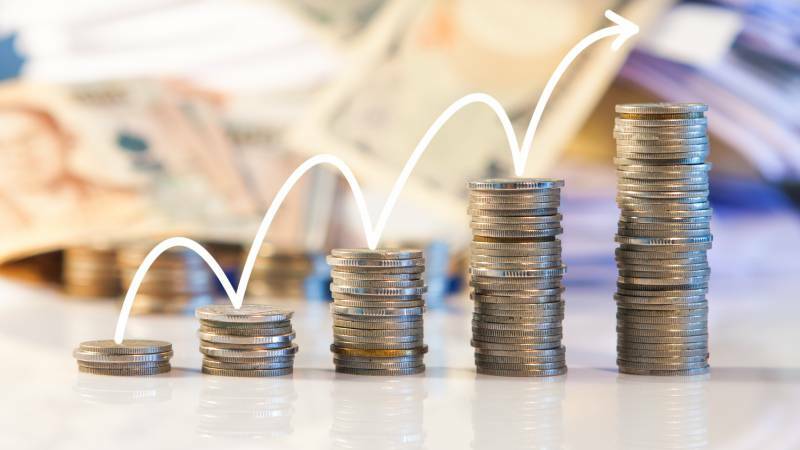 When investing in a certificate of deposit, you give the bank a certain amount of money for a set period of time, and throughout the year the bank pays interest into that account at a set rate. When the term of the CD ends, you receive your original deposit back plus the interest you’ve earned. If you’re saving for a specific goal and don’t need to touch your savings money for a set amount of time, a certificate of deposit is often a better option than keeping your money in a savings account. Certificates of deposit typically offer much higher interest rates than savings accounts, giving you a bigger return on your money. Certificates of deposit are a smart investment, but it’s important to know that if you withdraw the money early, you’ll pay a penalty. The money you put into a CD can’t be accessed without fees or penalties – and penalties typically cost a few months interest. However, if you do need the money in an emergency, you’ll only lose the interest earned, not any part of your investment. Like all investments, certificates of deposit sound complicated. But don’t let the name convince you CDs aren’t worth their risk – there’s essentially no risk involved! Once you know how CDs work, you’ll see how much of a difference they can make when it comes to your financial goals. 1. Compound Interest: The compound interest is how you’ll make money from a certificate of deposit. When you earn interest on your investment, the interest is put into your CD account. Once that’s added, you continue earning interest on both your original investment and that additional cash you’ve earned since making that deposit. Here’s an example: you invest $10,000 into a two-year certificate of deposit. That CD offers a 3% interest rate that compounds twice a year. After just six months, you’ll earn $150 in interest, bringing your account total to $10,150. At the one year mark, you’ll earn another $152.25 in interest, which brings your total to $10,302.25. Six months later, you’ll earn $154.53 in interest, giving you a total of $10,456.78. At the end of your CD term, you’ll receive one last interest payment, leaving you with $10,613.63. That’s over $600 made in just two years – and there was nothing you had to do to make that money! In a savings account with the average interest rate of 0.01%, you’d earn just $200 in two years. 2. Annual Percentage Rate (APR): The APR is the interest rate offered by your bank. This rate doesn’t include the money you’ll make from compounding interest. You’ll want to compare APR when choosing between CDs or banks in order to get the highest APR possible. 3. Annual Percentage Yield (APY): The APY is the rate of return you’ll receive on your investment each year. This number does take compounding interest into account. The more you invest in a CD, the more you’ll earn from interest. However, if you only have a couple hundred dollars to put aside, the interest you’ll earn from a certificate of deposit can still add up fast. Most certificate of deposit terms are typically between 3 months and 5 years in length, and the longer the term, the higher the interest rate typically is. Opt for a higher interest rate and longer term, and you could see your initial investment grow significantly. When choosing a certificate of deposit, it’s important to do your research. You want to maximize your earnings, so you’ll want to compare interest rates, term lengths, and even different banks and their requirements. Some CDs have minimum deposits; others require you to invest your money for years. Be sure to consider your financial goals too. When will you need your money back, and what you need it for? Is the return on your investment most important? Answering these questions will help you determine which CD is right for you. It’s also important to research interest rates so you can be sure you’re getting the highest rate possible. You don’t have to be experienced in investing to get a certificate of deposit and start growing your money. With an initial deposit and a hassle-free, hands-off investment option like a CD, you can earn hundreds of dollars without worry. If you’re interested in opening a certificate of deposit, start a search today.